Beverly Anne Melton of Grace Village Retirement Community in Winona Lake, Indiana passed away at 1:38 a.m. on Friday, August 24, 2018 at Grace Village Health Care at the age of 86. She was born on November 5, 1931 in South Bend, Indiana to Dorothy Mae (Hemig) Aughinbaugh and Hugh Aughinbaugh. On July 29, 1950 she married Dewey Jack Melton, who survives. Beverly has been a resident of Kosciusko County, Indiana for the past 44 years where she was a member of Winona Lake Grace Brethren Church, Women’s Missionary Council, Winona Literary Club, and a member of WinSome Women Auxiliary. She loved music and played the piano and organ. Beverly led the youth choir, was a Sunday School Teacher…but most of all her faith and family were foremost! 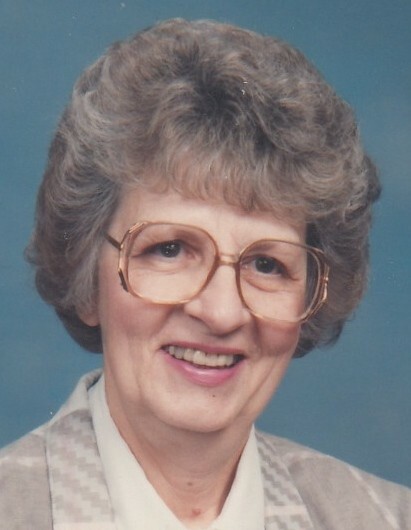 She will be lovingly remembered by her husband of 68 years, Dewey Jack Melton (Winona Lake, Indiana); two sons: David D. (Darlene) Melton (Nashville, Tennessee); Don J. (Michelle) Melton (Brownsburg, Indiana); four grandchildren: Pamela (Chris) Byrd (St. Charles, Missouri); Brandon Melton (Jacksonville, Florida); Robbie (Jessica) Melton (Nashville, Tennessee); Christen Melton (Elba, Alabama); and eleven great-grandchildren. She also leaves behind her sister: Carolyn (Robert) Olson (South Bend, Indiana); and her brother: Mason (Judy) Lane (Gainesville, Florida). She was preceded in death by her parents, and her sister, Phyllis Steffen. Visitation will be held on Tuesday, August 28, 2018 from 4:00 – 6:00 p.m. at Redpath-Fruth Funeral Home, 225 Argonne Road, Warsaw, Indiana. Her funeral service will be conducted at 1:00 p.m. on Wednesday, August 29, 2018 at The Chapel of Grace Village Retirement Community, 337 Grace Village Drive and officiated by Chaplain Bryan Benjamin. A private graveside service will take place at Oakwood Cemetery of Warsaw, Indiana. Memorial donations may be directed to Kosciusko Home Care and Hospice, P.O. Box 1196, Warsaw, Indiana 46581-1196 and would be appreciated by the family.